The unfortunate letter, titled ‘Chemicals,’ in last week’s edition (June 2, 2009 Lakeshore Weekly News) contained numerous factual errors and mis-representations and was therefore misleading. 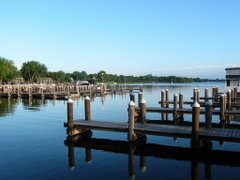 The authors were correct in citing me, representing the Lake Minnetonka Association, Minnesota Waters and the North American Lake Management Society, where I am an executive in all three organizations, as an advocate for the comprehensive protection and management of Lake Minnetonka and lakes in general. Specifically, I have advocated controlling Eurasian watermilfoil (and other invasive plants) and protecting native plants in lakes. Based on my background with a graduate degree in aquatic ecology, a certified lake manager (one of only 60 in the world), 30-years’ experience in managing lakes and holding leadership and executive positions in state, national and international professional lake management organizations – it is my opinion that the approach being used and advocated on Lake Minnetonka is safe, restorative and fully consistent with scientific, government and industry standards. I do not begrudge the authors for their obvious distaste for the use of herbicides in lakes. However, in public discourse, it is important to rely on objective information based on sound science. Errors in fact include an inappropriate reference to 2,4-D as being synonymous with the “notorious Agent Orange.” Agent Orange contained dioxin, a chemical found to be hazardous and banned long ago. Because dioxin is also known as 2,4,5-T, which appears similar to 2,4-D, it is often confused. However, 2,4-D has not been found to be unsafe and is widely used. Indeed, even the study cited in the letter has been refuted by later, more rigorous studies and to-date there has been no association between 2,4-D and public health concerns. In fact, 2,4-D has been used for decades in hundreds, perhaps thousands of Minnesota lakes. I am not aware of any known ill effects to people or the environment. The Minnesota Department of Natural Resources (DNR) permits its use. The Lake Minnetonka milfoil control project was developed with expert input and consensus by numerous public agencies including the Lake Minnetonka Conservation District, the University of Minnesota, the US Army Corps of Engineers, Three Rivers Park District, Hennepin County Environmental Services and the Minnehaha Creek Watershed District. The two herbicides that have been used, endothall and triclopyr, are registered for use in lakes by the US Environmental Protection Agency and are permitted for use by the DNR. In fact, the DNR, Lake Minnetonka Conservation District and several Cities have provided grants toward the project. The authors erroneously state the Lake Vegetation Management Plan (a DNR document) allows the killing of vegetation other than milfoil. In fact, the explicit objective of the plan is to protect and restore native plants that milfoil has displaced and intensive monitoring conducted by an independent federal agency has confirmed this. Indeed, the management plan is intended to be restorative by controlling milfoil – because the milfoil in Lake Minnetonka, when not controlled, has harmed native vegetation in the lake. The principals, partners and experts in this project recognized a real problem and sought solutions. The expert team concluded that the use of herbicides was the only safe and feasible management tool that would accomplish the objective of controlling milfoil and protecting and enhancing native plants in Lake Minnetonka. The authors may not like using chemicals, but they have not offered any feasible alternatives. It is unfortunate reality that aquatic invasive species must be dealt with, but I believe, their impacts are increasing and Lake Minnetonka as well as other Minnesota lakes are gravely threatened. The Lake Minnetonka Association has also advocated strong measures to prevent new invasive species from entering the lake, because of the great impacts they will cause. Unlike milfoil, which can be controlled, most other invasive species have not controls – so keeping them out must be the top priotity.